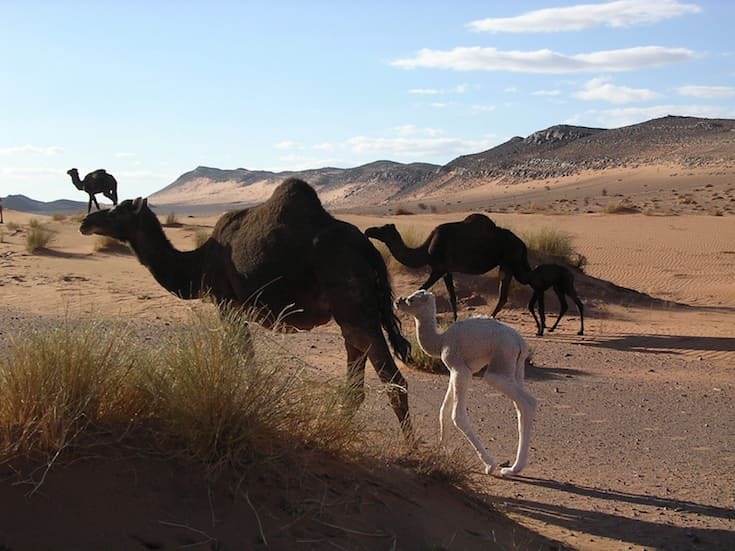 Experience the beauty of the tall dunes at Erg Chegaga and visit the nomadic people of this region, staying at a beautiful Lodge in Zagora on your journey back. 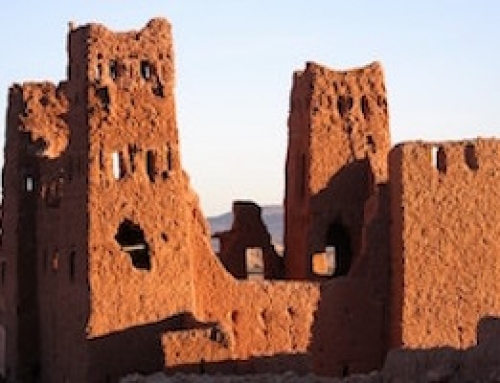 Your private, air-conditioned 4×4 will pick you up to take you through the stunning Atlas Mountains, stopping at the UNESCO World Heritage Berber town of Ait Ben Haddou to explore. 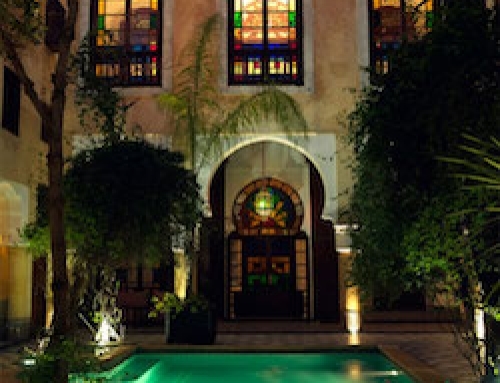 Spend the night at our recommended authentic Kasbah hotel. After breakfast, head into the heart of the Sahara Desert passing through the town of Taznakht, famous for its Berber rug making. Continue on to Foum Zguid and head off-road into the desert, driving across the salt lake of Iriqui. Arrive at your Nomadic camp at the tall dunes of Erg Chegaga to receive a warm Berber welcome and spend the evening under a sky full of stars enjoying delicious traditional food. 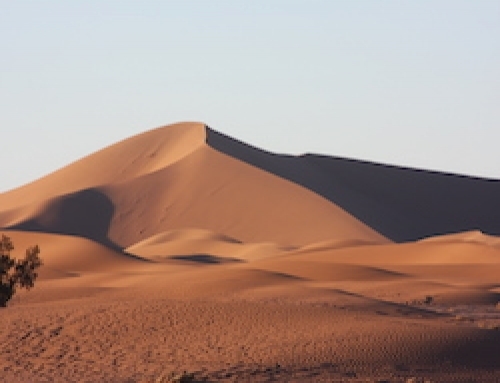 Today you will head in to the Sahara Desert with your experienced team. 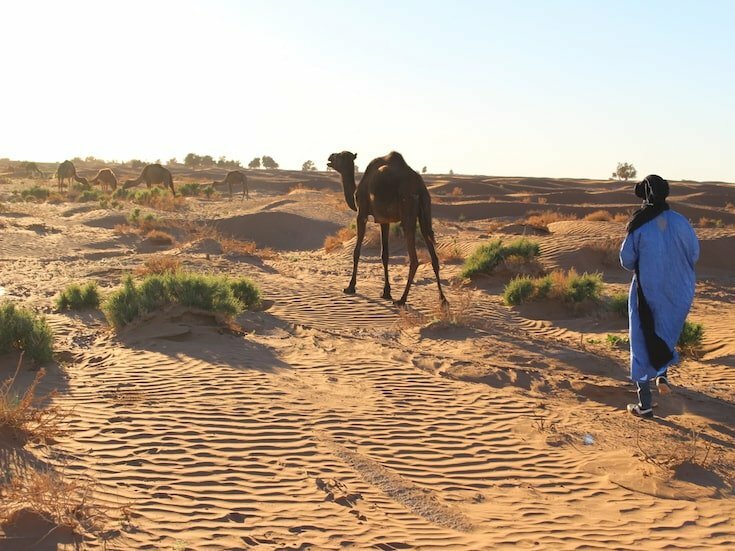 Choose to ride camels, go on foot or by 4×4 to meet a family of truly Nomadic people who still carve a life out in the depths of the Sahara today. With a translator, have the unique opportunity of meeting people from a life and culture which continues to exist today but is very rare. Your driver will arrive to take you out of the desert to the town of Zagora to stay in our highly recommended Lodge hotel. Return directly back to Marrakech with plenty of stops, arriving at your Riad in time for dinner on the terrace. 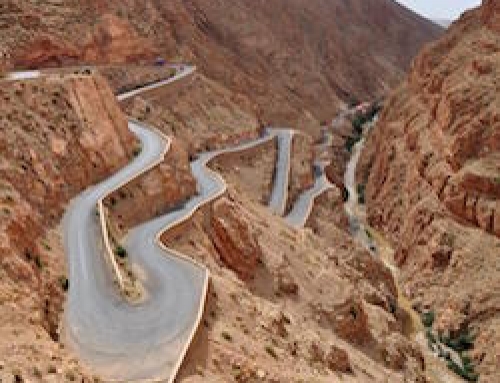 Reduce your trip to 4 days by returning to Marrakech directly from Erg Chegaga or Extend your trip to 6 days by spending another night in the Sahara or at the Lodge in Zagora. 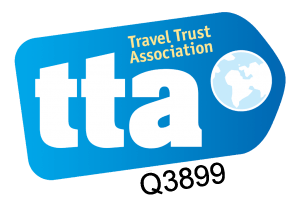 Please enquire for costs if you are travelling solo or in a larger group or would like to reduce or extend your trip. All Tour Itineraries are flexible and can be designed to suit your requirements.